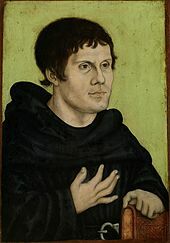 It was on this date in 1483 that Martin Luther was born. Luther was far from perfect. His antisemitism, though reflective of the mores of his time, were unaccountable from a man who, in so many ways, was more of God than of his time. But his reforming work, pointing the Church and all to Christ alone, Word alone, grace alone, faith alone makes him an important figure. I am sure that I had heard the Word about Christ many times in my life; but it wasn't until I'd heard it expressed and explained in a Lutheran key that Christ got hold of me and I was made new in Christ. Every day, I thank God for that.